The design of our products gives architects and designers a lot of freedom to create. Our tiles allow us to have modern designs, while respecting the technical requirements of durability and imperviousness of the product. 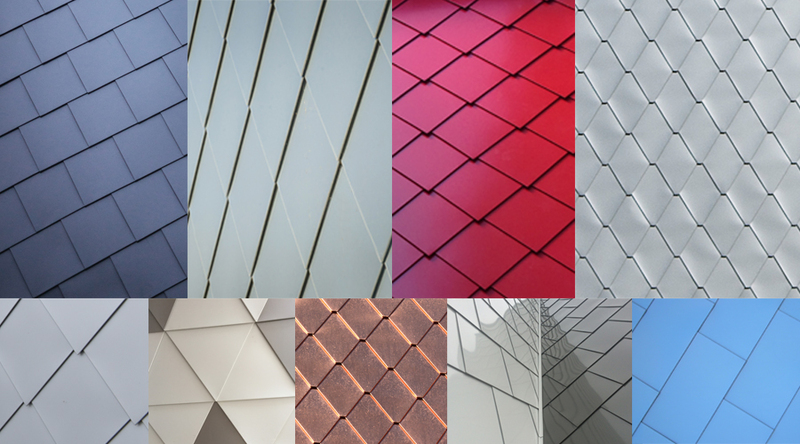 It is also possible to combine different models of tiles onto the same building by alternating variations of colours, geometric forms, by varying the different sizes of the same identical form as well as the positioning of the installation. All our roofing models can be installed on a vertical outdoor surface. Having been made to resist all the requirements of a roof, the vertical installation presents no problems whatsoever. This being said, Tuiles 3R offers tiles especially made for mural and vertical installation. Our panels allow mix and match with models, colors, vertical and horizontal installation. Panel series Corra-Lok, Metafor, Rigid Wall II and Multi-Design offer compatible interlocking systems, all with hidden fasteners.